British 78rpm record labels whose name begins with F. Using the letter links below you can see pages for other letters. Fairy There were two distinct labels using this name, but both were 5½" in size. 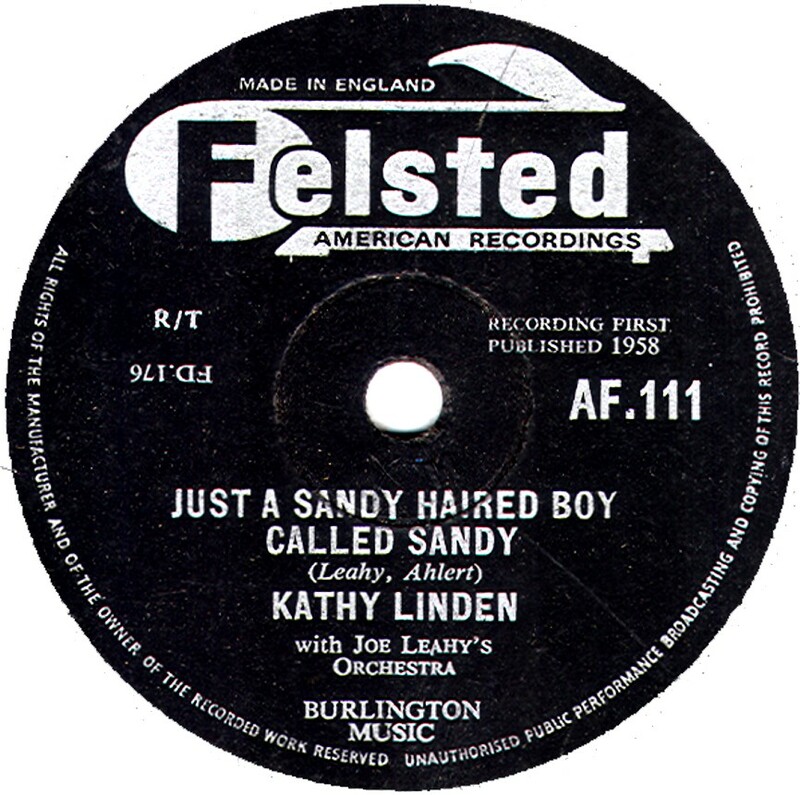 One was an Edison Bell product, like "Bell" (see first label image) and the other a Vocalion product, like "Little Marvel" (see second label image). They are both rare labels and, as you'd expect, all of the material on these records are Nursery Rhymes, or music considered to be appropriate for young children. 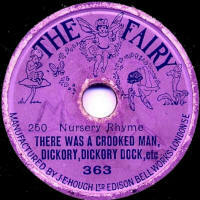 The "Vocalion" Fairy records seems to trurn up a lot in Australia and New Zealand, implying this was one of Voclaion's products mainly manufactured for export. Famous One of the many record labels made for J. Blum & Co of 220 Old Street, London, Famous records first appeared in September 1912 and were initally pressed in Saxony, Germany by Kalliope. Blum never advertised Famous records, however and the wholesale agents were Lugton & Co, nearby at 150 Old Street London. In 1913, Blum fell out with Kalliope due to them pressing records for other clients, but using Blum's exclusive matrices. 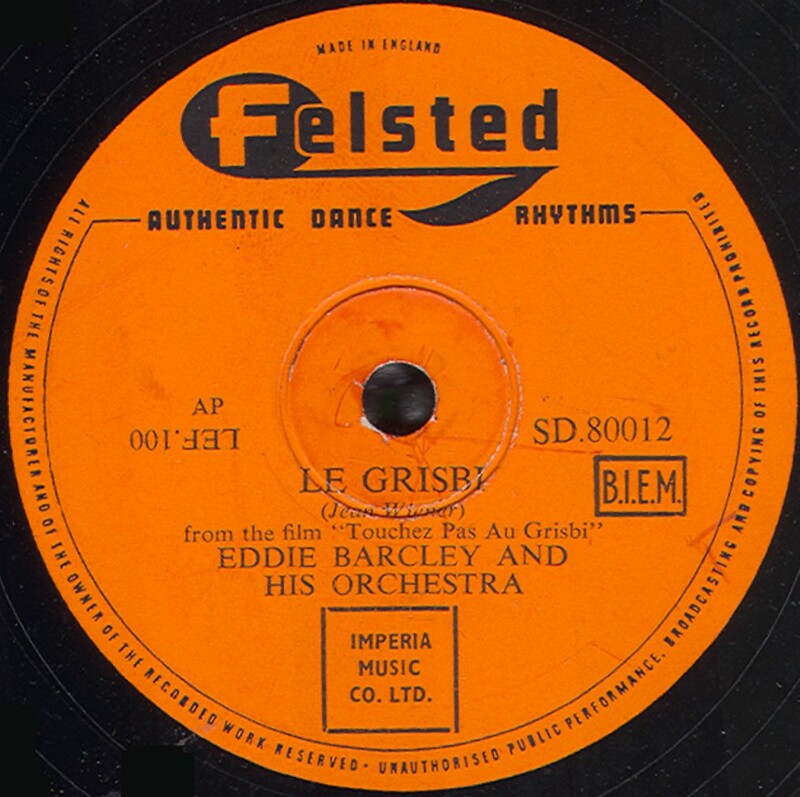 Subsequent Famous records were still pressed in Germany, but by another manufacturer (so far unidentified) located in Prussia. 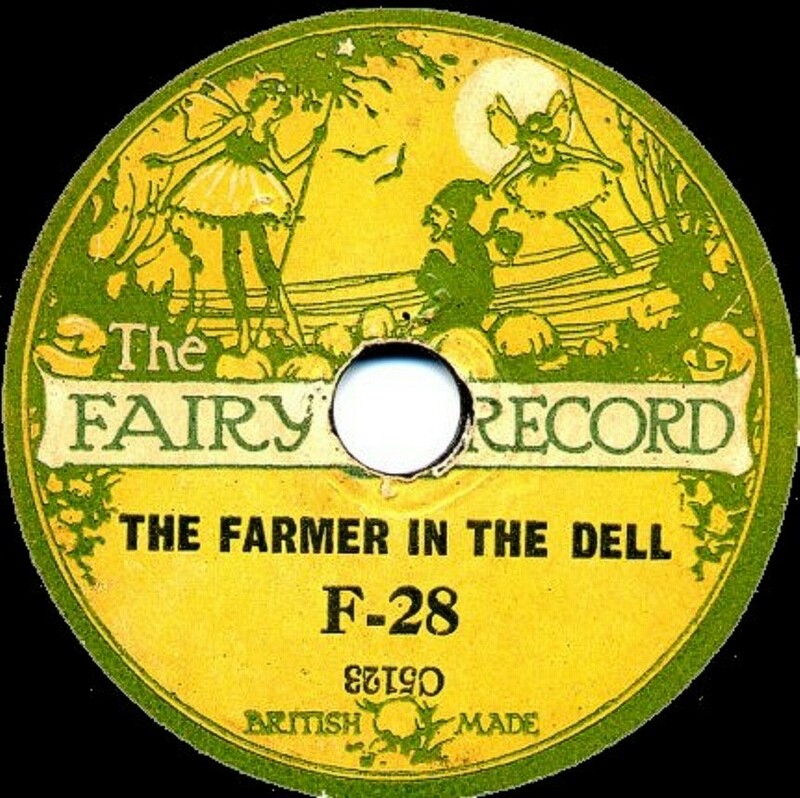 Finally, with the outbreak of WWI in August 1914, Blum had his records pressed by The Disc Record Company of Harrow; these are recognisable by the "British Manufacture" printed on the label. 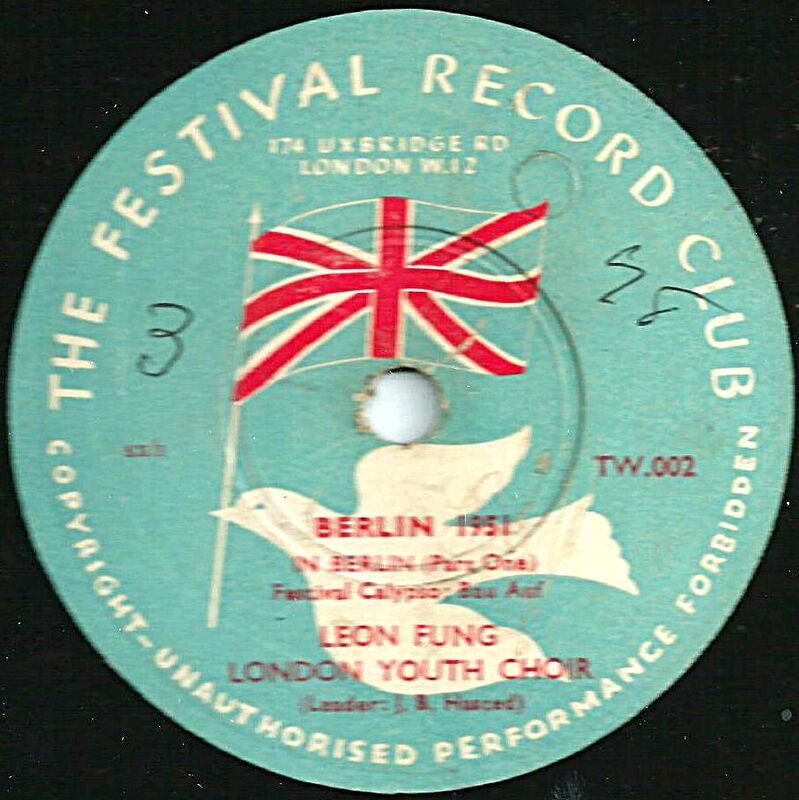 Also, some, if not all the British-made Famous records had a dark purple label, instead of the traditional German green labels. The catalogue numbers start, logically, at 1 and the highest reported by Frank Andrews is 442, issued in the Autumn of 1914. Blum's British matrix series starts at 1000 or 1001 and runs up into the higher 2000s, but sometimes with a prefix of a 7 or 8 shown on the label. 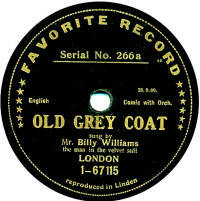 Favorite A major record manufacturer in the early years, the German-based Favorite record company began exporting to England in 1908. From WWI they were pressed at the Mead Works in Hertfordshire until about 1920 using a variety of different matrix sources. Many Favorites have no catalogue numbers, just single-sided-type numbering. The CLPGS have published a full history of Favorite records as part of their "Reference Series" booklets. The Favorite booklet includes a CD which contains a full listing of all known Favorite issues. 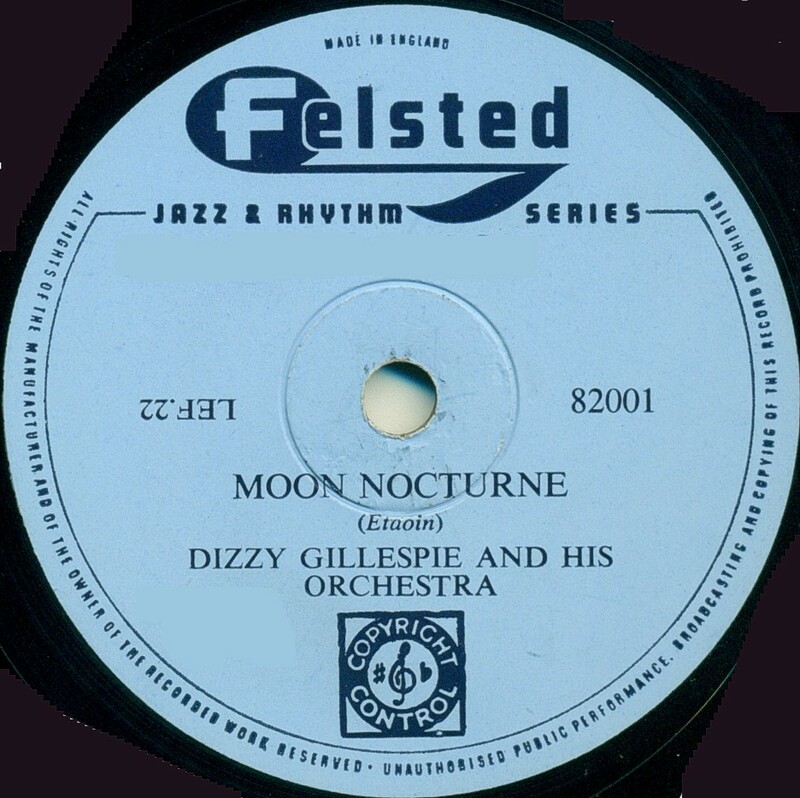 Felsted Thanks to Bill Dean-Myatt for providing the label images. 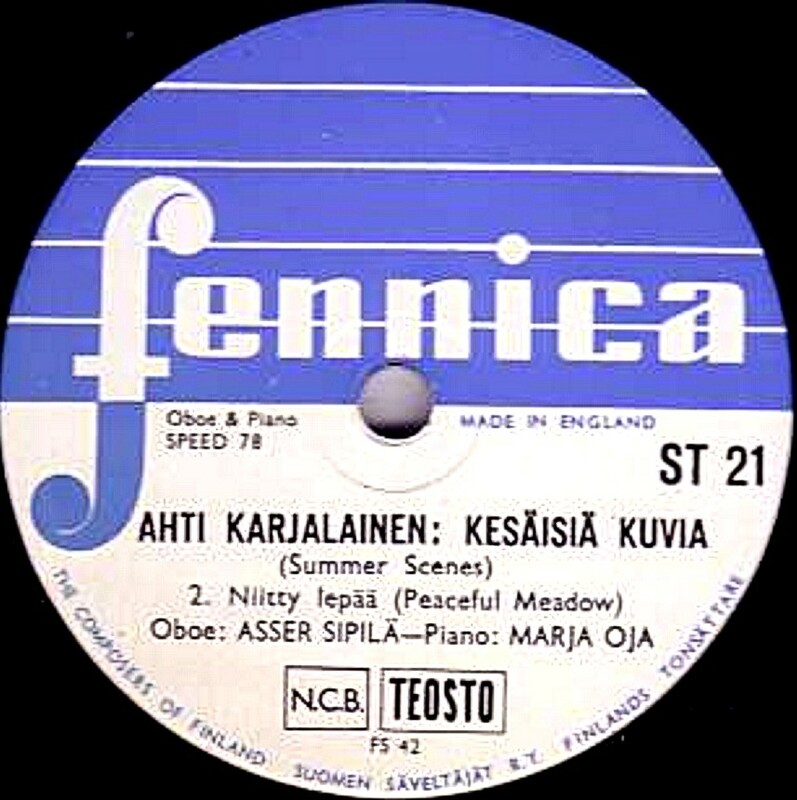 Fennica A post-WWI record label manufactured in England for export to Finland. 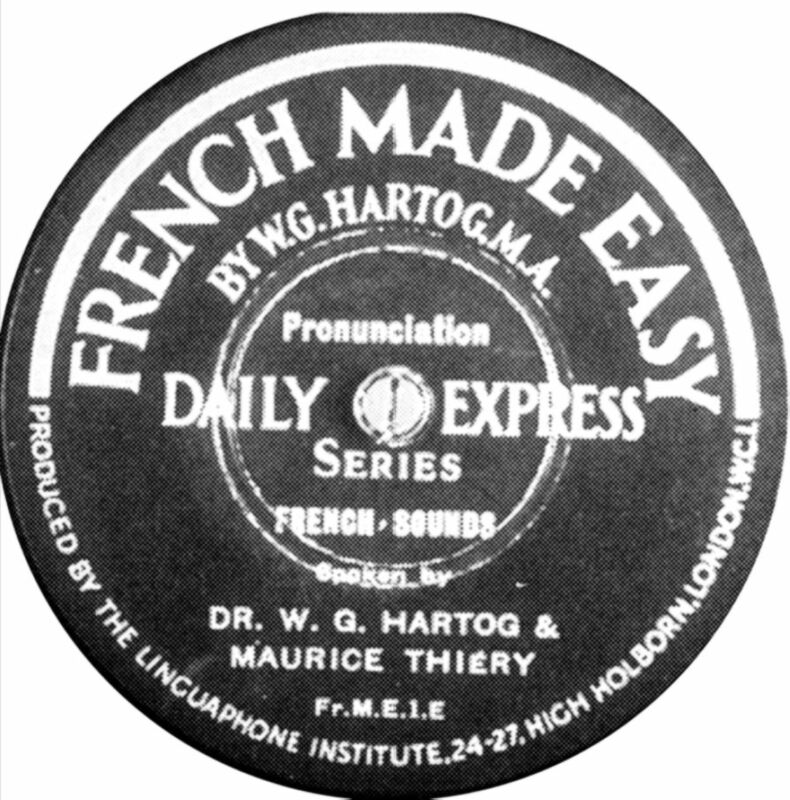 Festival A pre-WWI disc pressed in Germany for the British market, using Globophone masters. The design is identical to Globophone, but just with a different background colour. Some mystery surrounds Festival records, in that they were not advertised in trade journals of the time and the prorietor or agent in Britain is not known. 02126 Part 1 - The Journey, part 1: "In August", "The Relay Song", "The Berlin Train"
02128 Part 3 - In Berlin, part 1: "Festival Calypso"; "Bau Auf"
Thanks to Dave Mason for the label image and all the information about the known records and the background details. 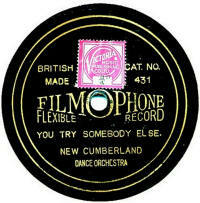 Fetherflex One of the many eccentric products associated with Noel Pemberton-Billing, Fetherflex records were lightweight and unbreakable, make of a similar material to the later Duophone unbreakables. Fetherflex date from the early 1920s and were very short-lived and are very rare nowadays. 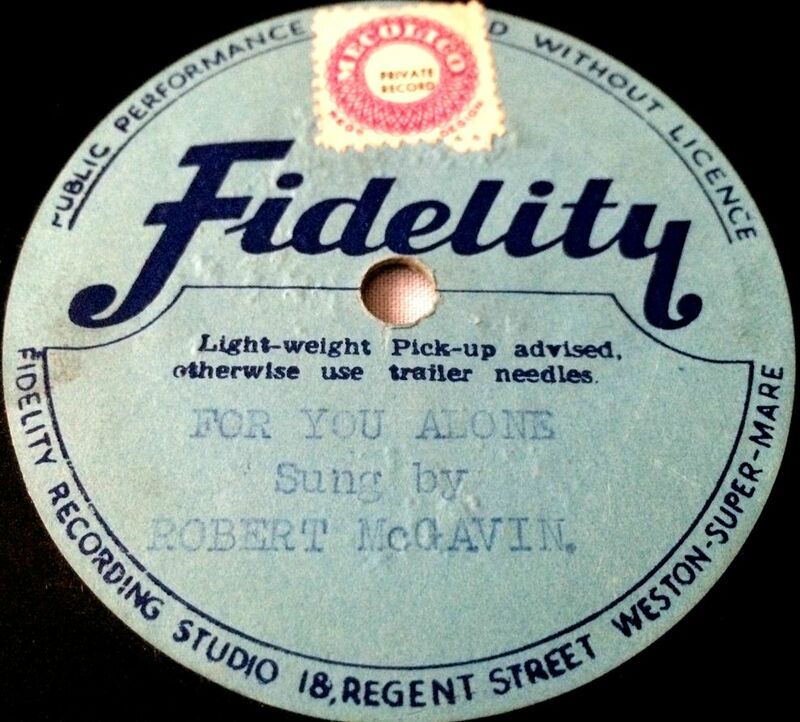 Fidelity Two "Fidelity" labels have been reported so far, both private recording studios. I have no idea of tha dates of these records or when the studios operated, so I am going to assume the usual default of "post-WWII" until anyone tells me otherwise! In no particular order, the first one shown was based in Liverpool, at 2, Coronation Road, Liverpool 23. The other was in Weston-Super-Mare, at 18, Regent Street. Thanks to Bill Dean-Myatt for providing the label photos. 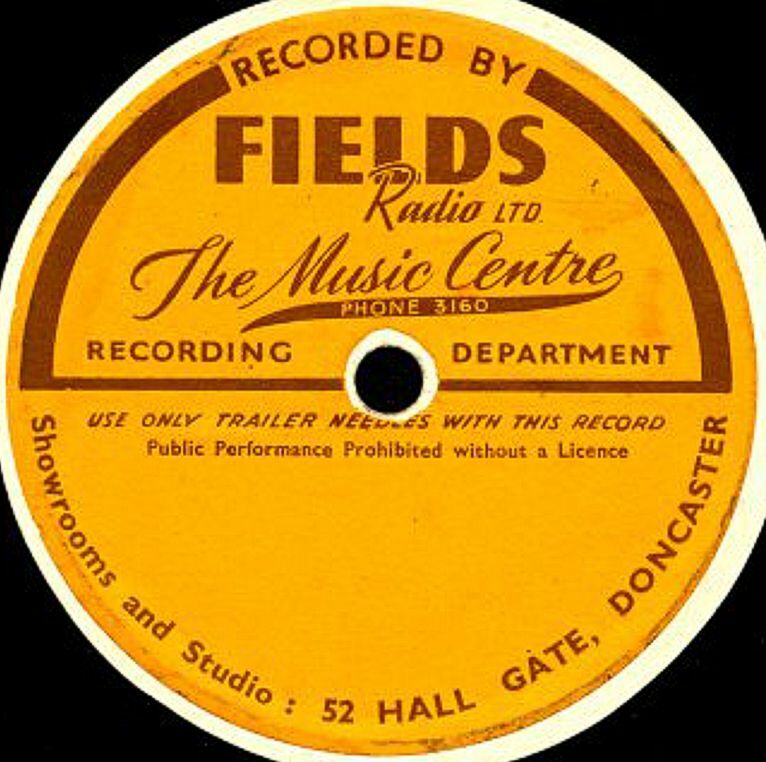 Fields A private recording studio based at a music shop in Doncaster. Filmophone The quest for unbreakable records (see above) continued with Filmophone. The problem is they went too far, they were too flexible! They certainly could be rolled up into a tube. Trouble is, they tend to do it of their own accord, making many completely unplayable. Those that are flat do play very well. 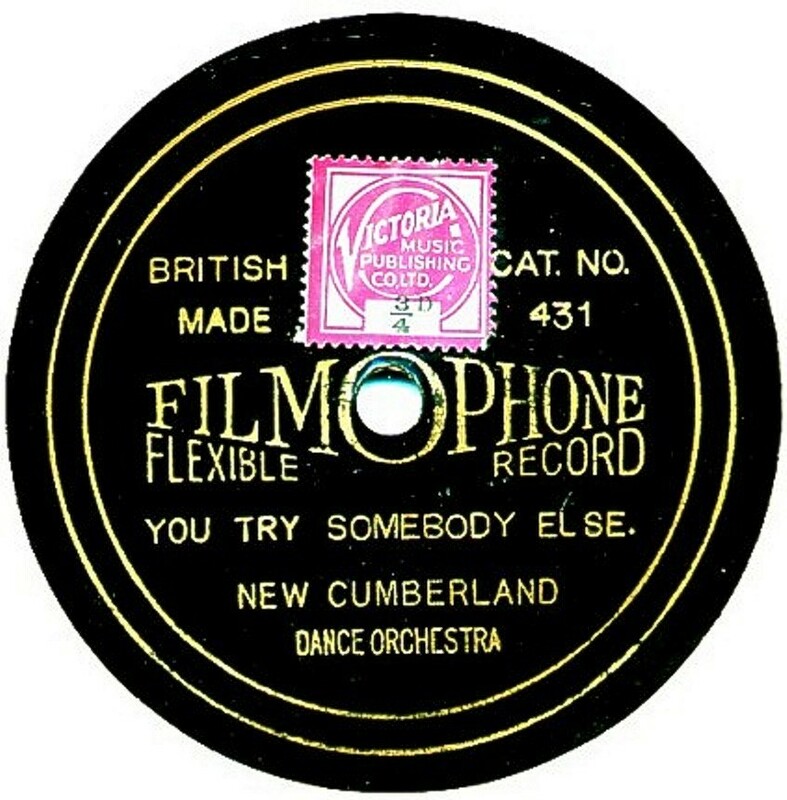 Many were original recordings by some excellent British musicians. American masters were provided by QRS and Banner (the latter mainly dubbed). Flag This was one of the many pre-WWI records produced by Beka of Germany for the British market, probably dating to about 1912. 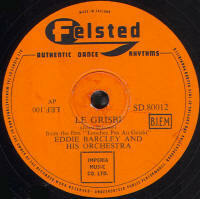 There were about 500 issues, with catalogue numbers matching Beka Grand records, and available in both 10" (see image) and 12" sizes, the latter bearing lilac and gold labels. 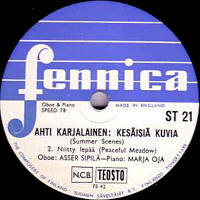 The 12" catalogue numbers matched those of Beka Meister records. 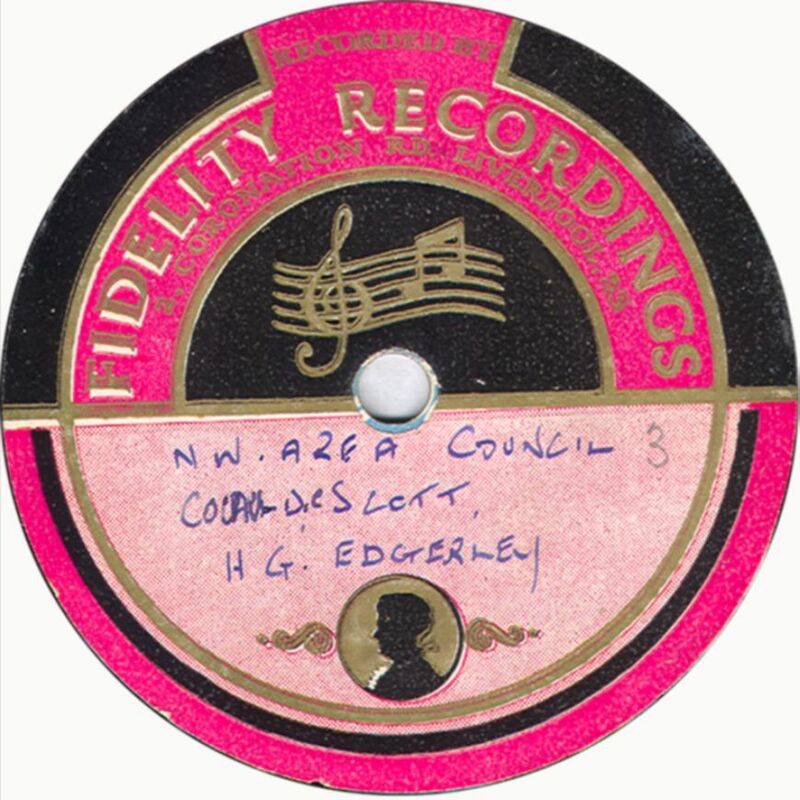 The Flag records don't seem to have been advertised in the trade journals, and it is quite likely it was a "tallyman" record, sold door-to-door under a contract to purchase a fixed number of records over a fixed period (and receive a 'free' gramophone on loan). This would fit with the British patriotic style of other known tallyman labels such as Britannic and John Bull. 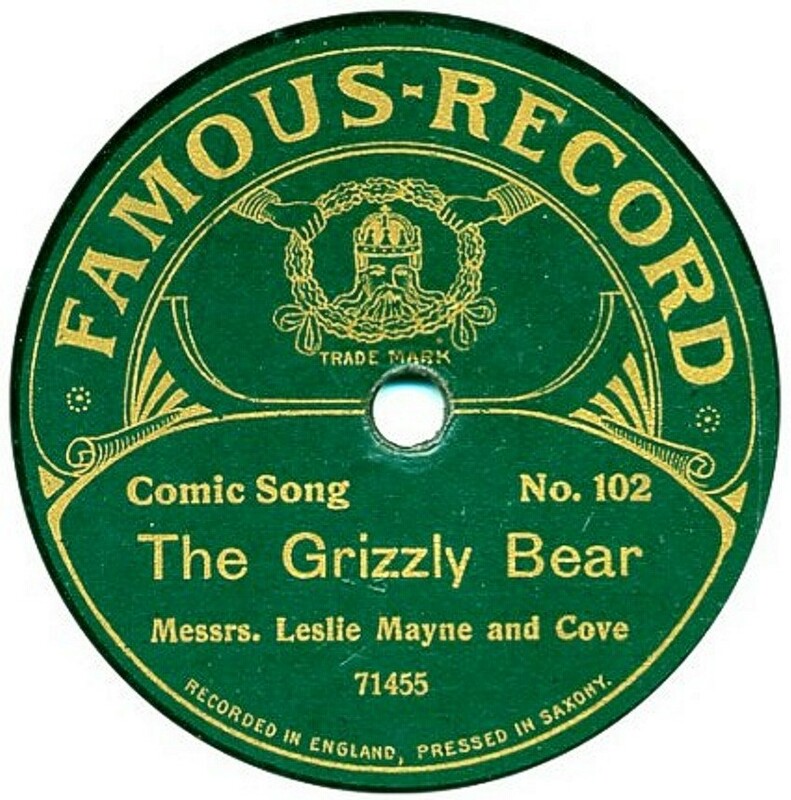 The Beka Record Co had withdrawn from providing John Bull records in the summer of 1911, so maybe The Flag Records dates from just after that time. This would also fit with the German application for the trade mark which was submitted in December 1911. 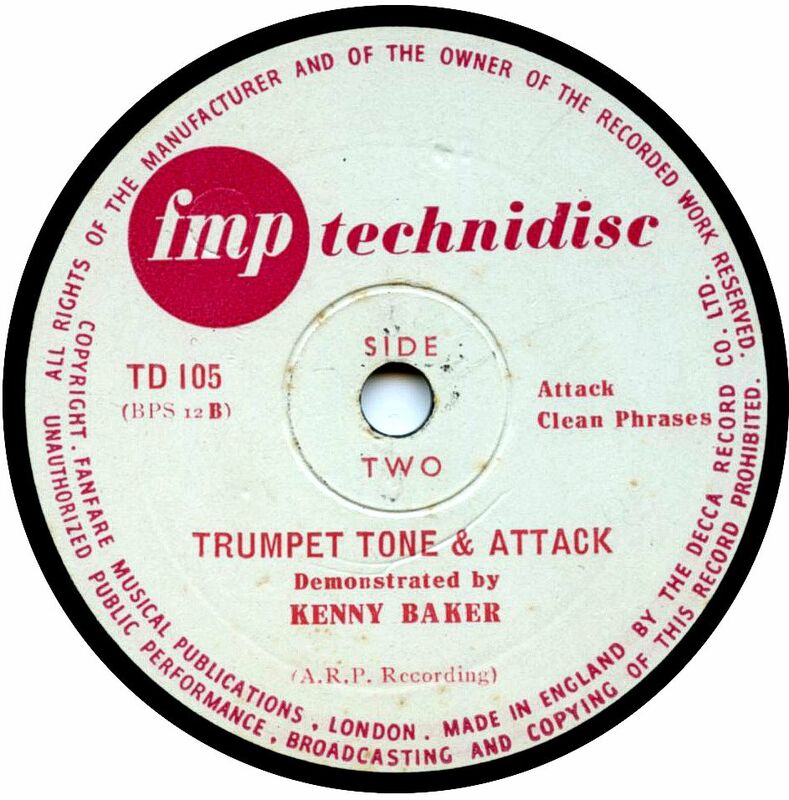 Fmp Technidisc This was a short set of records made by Decca for Fanfare Musical Productiuons Ltd of 31, Whitcombe Street, London, WC2. They were standard 10" 78rpm discs costing 6/6 each. They contain hints and tips by leading British jazz instrumentalists. The first batch of 5 were issued in mid-1949, but there were some subsequent issues in 1950 or 1951. The label states "A.R.P. Recording" but I don't know who that refers to. 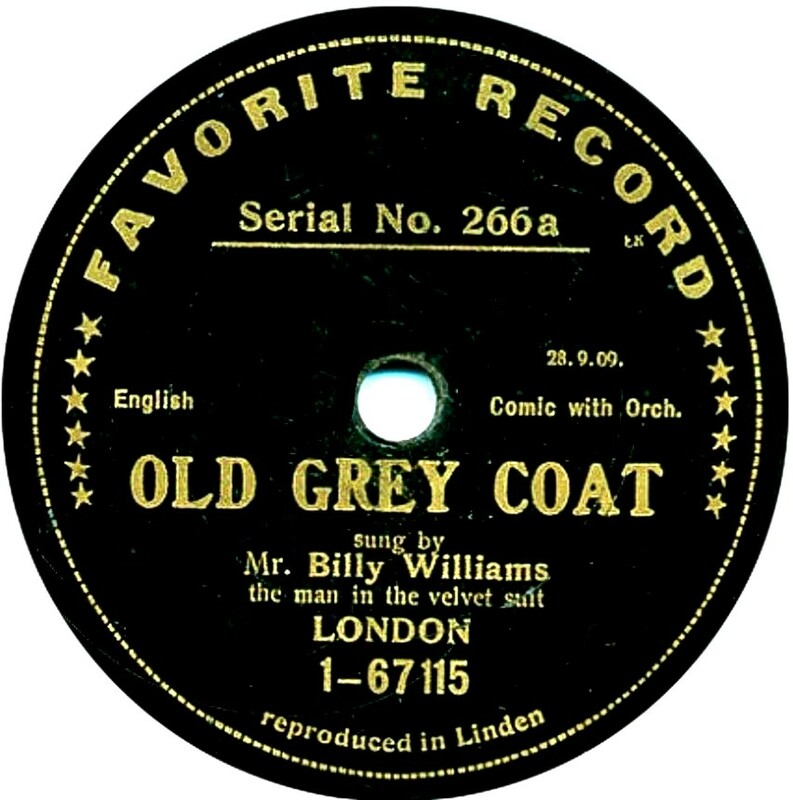 Initially the label was black with gold printing, but subsequent pressings sport a white or very pale blue label with red printing, as seen here. 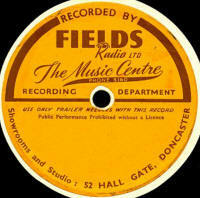 The records were sold by Farley Radio Services Ltd in 1951. Fonotipia This famous Italian record company started exporting records for sale in Britain in November 1905. The records were 10½" in diameter and double sided. I believe that other sizes such as 12", 7½" and even 13¾" (the latter single sided) were also available, the records being pressed at the Odeon factory in Germany, though I don't know if any or all of these other sizes were sold in Britiain. 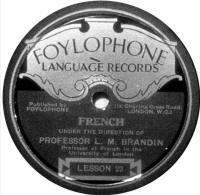 ln April 1906, a British company, Fonotipia Ltd, London, was registered and subsequently took over the Italian company. 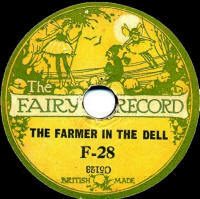 From later in 1906, Fonotipia records sold in Britiain were manufactured by Crystalate in Tonbridge, Kent. I would expect Fonotipia records imported for sale in Britain would have had English titling, and certainly those manufactured by Crystalate would have. None of the Fonotipia records I have seen, (which isn't many, to be honest) have English titling and neither have I seen any which are of British Manufacture. 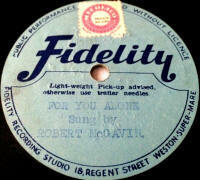 Any images of British Fonotipia records would be gratefully received! 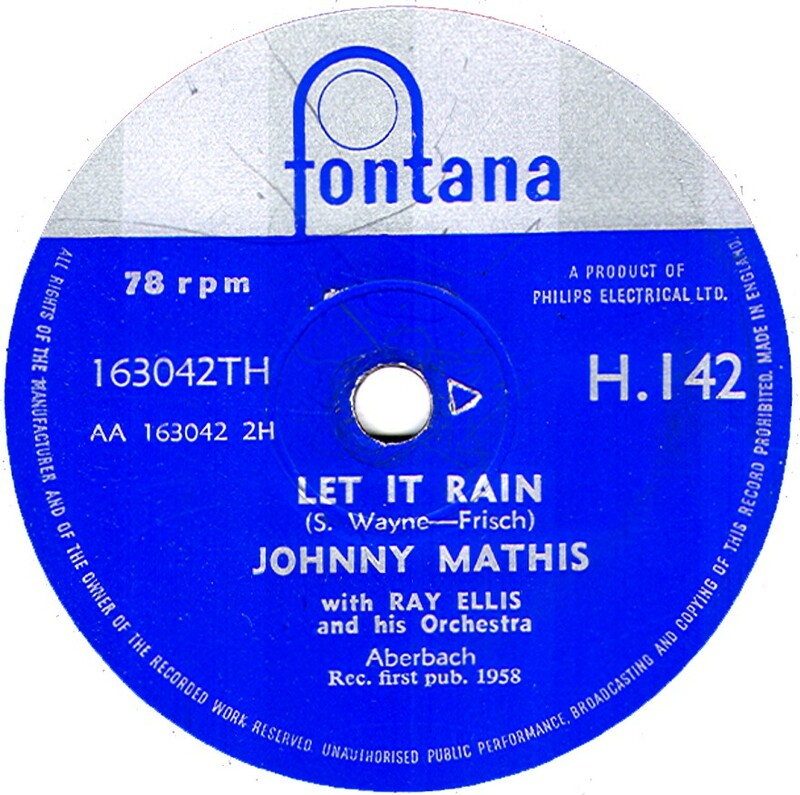 Fontana Dating from the 1950s, Fontana records were a product of Philips Electrical Ltd.
My thanks to Bill Dean-Myatt for providing this label image. 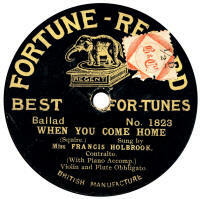 Fortune The Regent Fittings company of 120, Old Street, London sold these discs during WWI. They were manufactured in England by Crystalate. 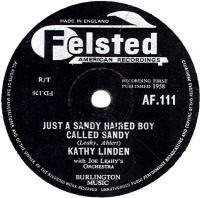 My thanks to Norman Field for providing this label scan. 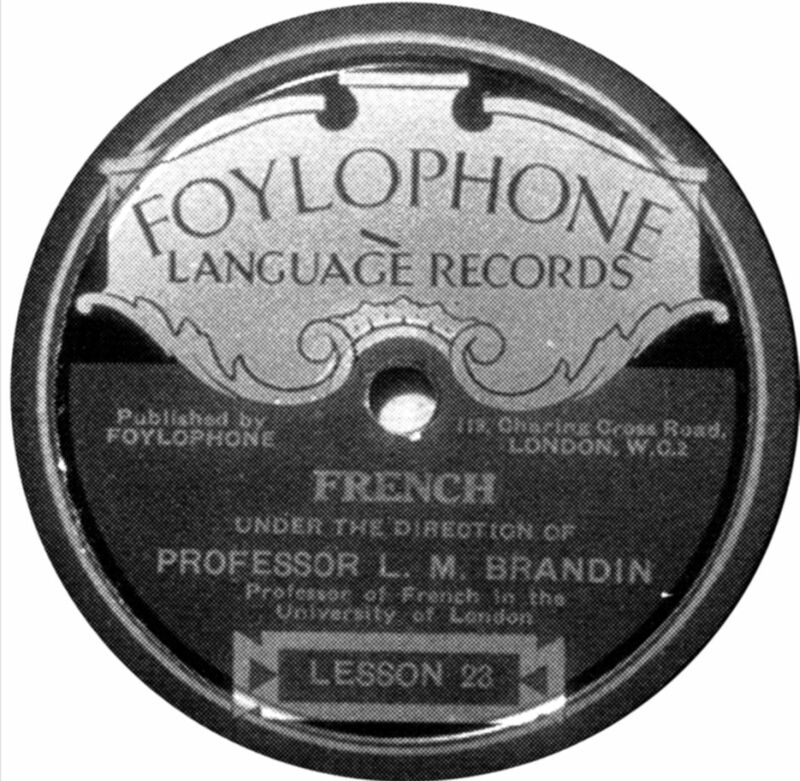 Foylophone This was a series of 13 12" records containing a French Lanuage course published by Foyle's Music Company, a division of the well-known London Book seller, Foyles. 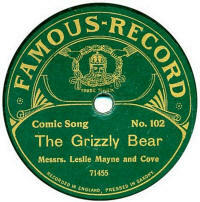 The records date from 1927 and were recorded & manufactured by Parlophone. 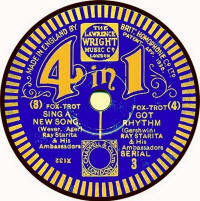 They had no catalogue numbers, but just lesson numbers, L.1 to L.26, and Parlophone's WEX- series of matrix numbers. 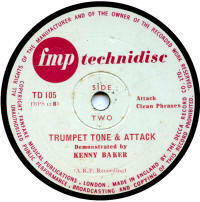 These records were later issued on the Parlophone Odeon label, on numbers PXO-1000 to PXO-1012. I would be grateful for a good quality colour image of a label example. 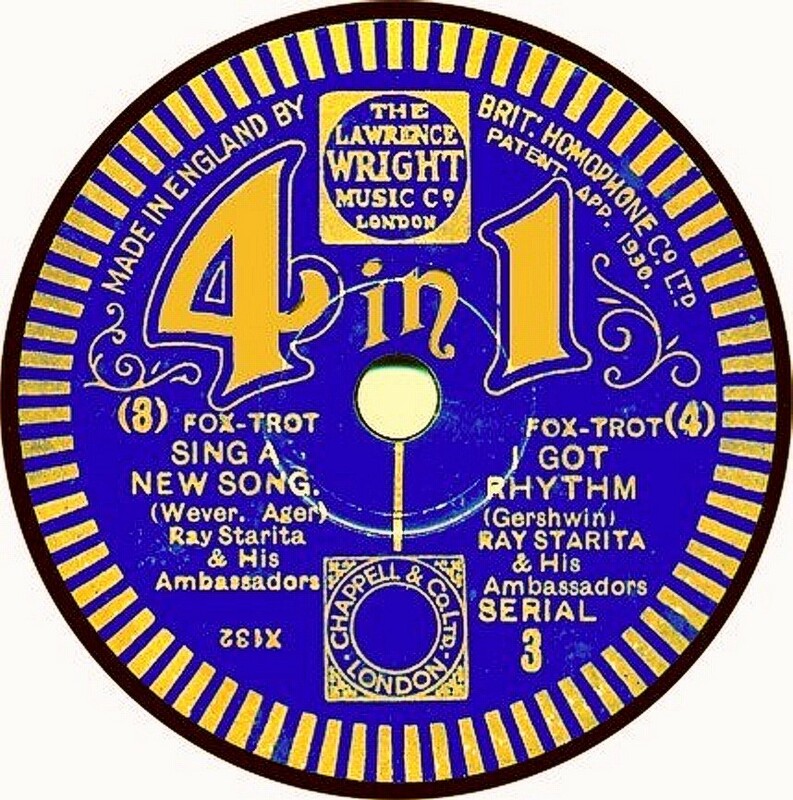 Four-in-One (4 in 1) 4 in 1 (a British Homophone product) was a genuine attempt to give more value for money. The records do have 4 full-length tunes on every record, each side playing for at least 6 minutes (some are longer!). The groove is fine and the quality is not bad considering the technical limitations. Each is a master recording and not dubbed from an existing "normal" 10" record. All matrices are English, and mainly dance bands. The catalogue ran from 1 to about 90 and all date from 1932-34. 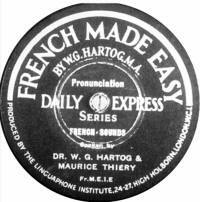 French Made Easy This was a series of records produced for The Linguaphone Institute. The label is describes as royal blue with gold printing. I don't know when these records were made and sold, how many were in the course series, nor who recorded and manufactured them. A colour scan along with more information would be much appreciated. Full Gospel Full Gospel records were prodcued by Crystalate in the mid-1930s for The Full Gospel Publisdhing House. 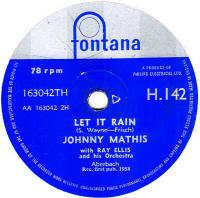 The records were numbered from 1 upwards, amd showed Crystalate's private recordiung matrix numbers in the CP- series.